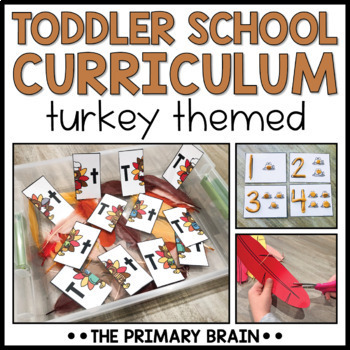 Get ready for a fun filled week with your toddler learning all about turkeys and the letter T! 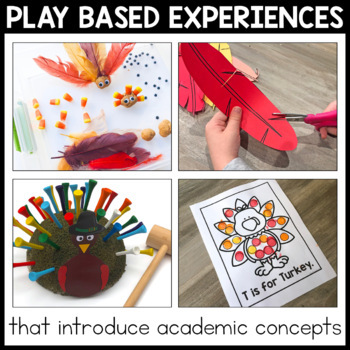 This Toddler School Turkey unit of study is designed to introduce your child to pre-academic skills and concepts in an exciting way! These lessons are designed for a 2-3 year old child. The lessons are written for a parent to complete with their child. Detailed lesson plans are included so that all parents can be successful in teaching their children. This lesson series could also be used in a toddler/preschool classroom. 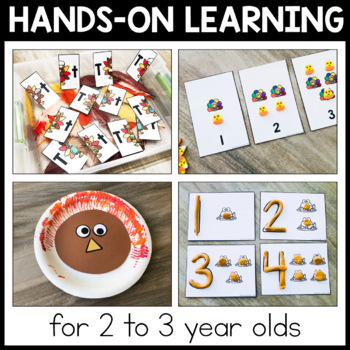 Each of the 5 lessons include a literacy/language component, a sensory exploration activity, a math or science activity, fine and gross motor skill building activities, and an art activity. Lessons are designed for approximately 2 hours of learning per day. Click here to check out all of my toddler school curriculum packs!